OMRF participates in a cooperative program with the University of Oklahoma Health Sciences Center (OUHSC) to provide graduate student fellowship support. Twenty fellowships of $24,000 each are awarded annually by OUHSC. 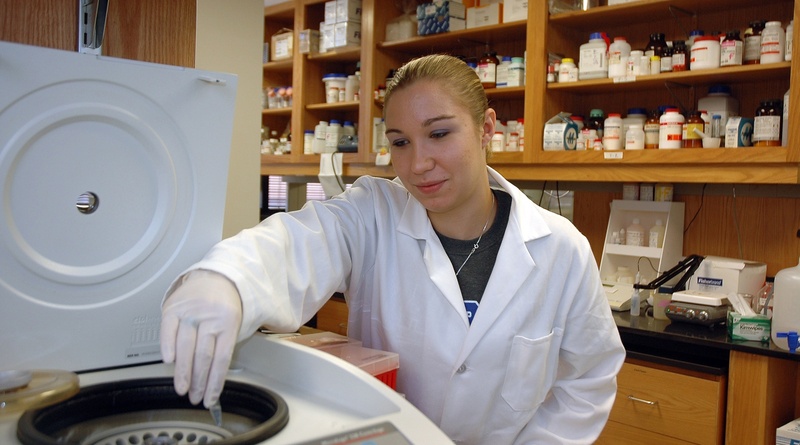 Recipients will have the opportunity to pursue their graduate research with OUHSC and OMRF faculty members in one of six biomedical sciences departments: Biochemistry & Molecular Biology, Cell Biology, Microbiology & Immunology, Neuroscience, Pathology or Physiology. Additionally, at OMRF, students may conduct research in one of its research programs: Advanced Magentic Resonance Center, Aging & Metabolism, Arthritis & Clinical Immunology, Cardiovascular Biology, Cell Cycle & Cancer Biology, Functional & Chemical Genomics or Genetic Models of Disease. Students may do their research projects at OMRF. All classes are taken through the University of Oklahoma on the OUHSC campus, which is adjacent to OMRF. OUHSC graduate students at OMRF are eligible for a tuition waiver. In addition, they receive a stipend, which includes an allowance for the purchase of health insurance.